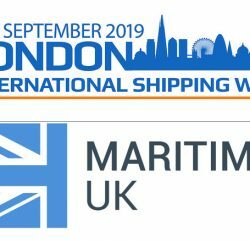 KVH, a leading provider of maritime connectivity and content solutions, is delighted to pledge its support for Women in Maritime, an initiative of industry group Maritime UK. The Women in Maritime campaign aims to promote fairness, equality, and inclusion within the maritime sector, bringing together leaders from across the maritime sector to identify practical steps to increase the number of women in maritime, and crucially within senior roles across its shipping, ports, marine, and business services industries. The Northern launch of the Women in Maritime campaign took place in Liverpool yesterday, with support by several members of KVH’s Liverpool staff, many of whom have actively mentored and encouraged younger women in their workplace and industry for many years. Ms. Henney’s colleagues in the Liverpool office include five women with a combined total of nearly 70 years’ experience in the maritime industry. Maritime businesses have initially been asked to sign a Women in Maritime pledge, and KVH officially signed earlier this week. “We are proud to say that we have an extremely diverse team throughout the business and we support the belief that achieving a balanced workforce in the maritime sector will undoubtedly improve culture, behaviour, outcomes, profitability, and productivity,” continues Elizabeth. The initiative aims to reach throughout the maritime industry. “The need for fairness, equality, and inclusion is clearer than ever and the maritime sector must embrace diversity because it’s the right thing to do,” concludes Sue Teriplowski, OBE, Chair of the Women in Maritime taskforce. “Equally there is a strong business case for action,”.